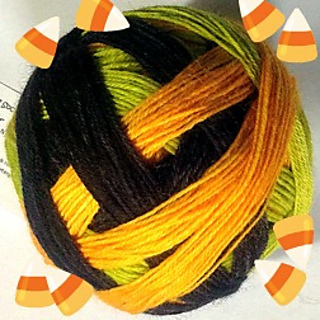 This is my contribution for the Halloween portion of the Rocking Kitchen 2013 Holiday KAL. 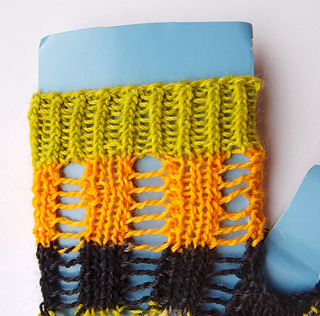 It’s a top-down fingerless mitt with thumb gusset. 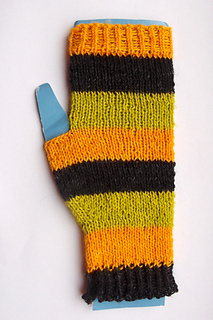 It uses sock yarn at a slightly looser gauge than normal. Fun and quick and would be perfect for leftovers. There are two choices in the pattern -- a plain mitt and a fancier version with lace panel down the front.